We have been searching for the right opportunity to express to all of you how much is going on that you don’t know about, and we have decided that now is the perfect time. 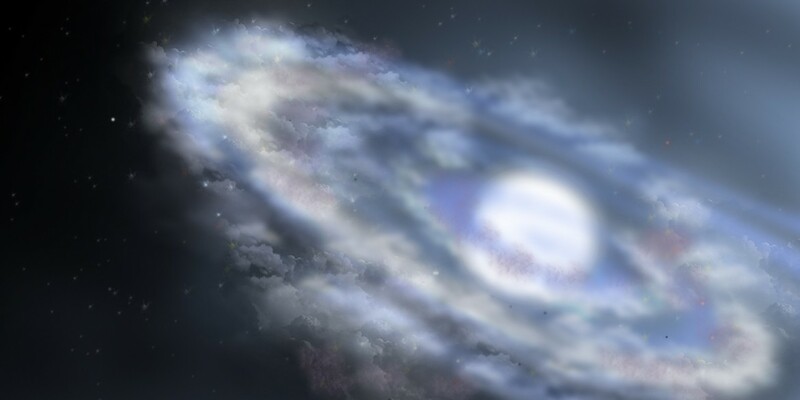 Now, we understand that you have many whistleblowers and insiders on your planet right now who have been telling you about many of the forces that are at work on your world, and even on other planets. And these are the forces, the individuals, the groups, and the e.t. beings who have been working against you. You get much more information about them than you do about beings like us and the other beings throughout the universe who are supporting you and who are helping you. And the positive energy that we are all putting towards you and your evolution and shift in consciousness, far outweighs what those other beings and humans are doing to try to thwart your progress. First of all, it is a guarantee that they will fail, and it is a guarantee that you will succeed. So for that reason and that reason alone, you do not need to focus upon them. 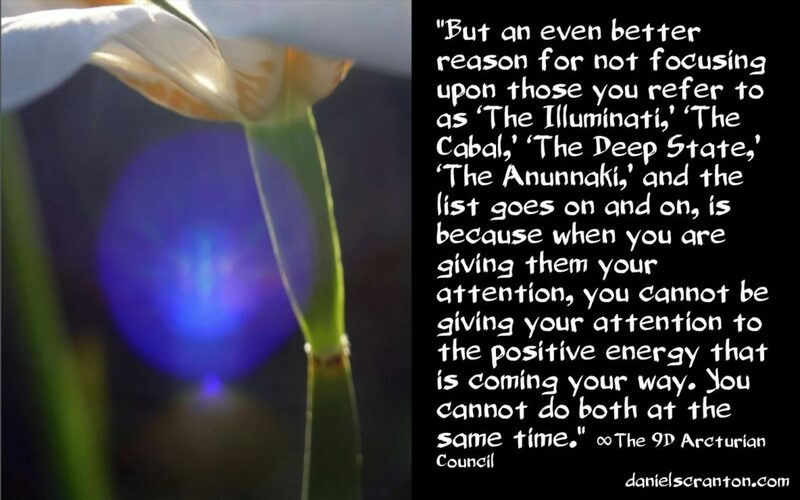 But an even better reason for not focusing upon those you refer to as ‘The Illuminati,’ ‘The Cabal,’ ‘The Deep State,’ ‘The Anunnaki,’ and the list goes on and on, is because when you are giving them your attention, you cannot be giving your attention to the positive energy that is coming your way. You cannot do both at the same time. Is it good for you to know that these forces exist? Well, it really depends on what you do with that information. But is it good for you to know that we exist and that so many other beings exist who are working in your favor, who are supporting you, loving you, sending you energy, activations, and downloads? Yes! It is absolutely to your benefit to know about all of us, but also to feel for all of us. In order to feel for us, you have to raise your vibration. When you start to focus upon them, you lower your vibration. Even if you are just curious about them, even if you just find all of it to be very interesting, it still doesn’t serve you to put your focus there. And it certainly doesn’t serve you to focus on defeating them. And if you think that your lives will only get better when they are removed from positions of power, then you are disempowering yourselves. Open yourselves up to the higher frequency beings like ourselves who are here in service and here to help, and you will empower yourselves tremendously. And all of us in the higher realms who have been and will continue to help you are just getting started.